Your outdoor living space should feel as comfortable as the inside. At Green Lawn Service, our experts are ready to sit down with you and make your dream a reality. We take the time to listen to what you both want and need from a space and bring your vision to life Cleveland, TN. Making you the customer happy with a finished product while respecting your budget is our priority! 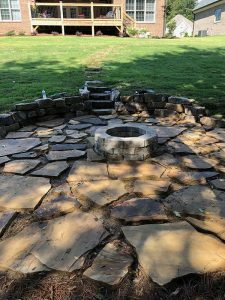 From paver patios to outdoor fire pits/places, retaining walls, drive ways, and even water features we have done it all. Over time the lesson we have learned is paying attention to the details pays off in the long run. 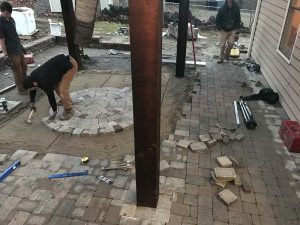 We take pride in our work knowing you will enjoy your new or improved outdoor living space for years to come. We only use the best stone for the best look and long life. Watching the game with your friends, celebrating block parties with your neighbors, and especially laughing with those you love the most are just a few of the memories waiting for you and your outdoor living area dream. Give our trained technicians a call today to start your FREE ESTIMATE!